Geocentric Media offers the best technology for small businesses to manage their marketing tools from a single, easy-to-use platform. Step 2. Select from the best digital services on the market – at reduced prices! How else is our platform awesome? Scroll down to learn more about all of our marketing services! 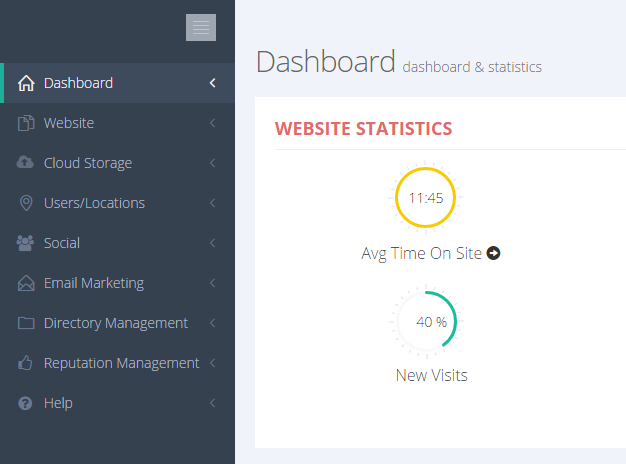 View and manage your data from all your campaigns from one screen. Need assistance getting started with using your new business and marketing tools? We have answers to your most sought-after questions! Ready to start using your small business marketing management tools?